Favorite Bible Verse: Isaiah 53:5 But he was pierced for our transgressions, he was crushed for our iniquities; the punishment that brought us peace was on him, and by his wounds we are healed. Favorite Adoption Story: It is the story of a little girl named Gracie. We saw her face on a waiting child list early in our adoption process and God made it abundantly clear she was His gift to us. After two long years of paperwork and heartbreaking delays, she was placed in our arms on a hot summer day in a Vietnamese orphanage. Her laugh lights up my world, and she teaches me about God’s love every single day. 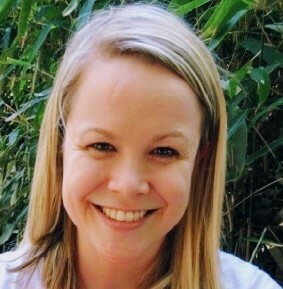 Education: Kelli received a bachelor’s degree in Family Studies from Samford University and a Masters degree in Social Work from Baylor University, with a specialization in adoption. She worked previously as a pregnancy counselor and domestic/international social worker for another Christian agency. Responsibilities: Kelli provides home study and post adoption services to families.